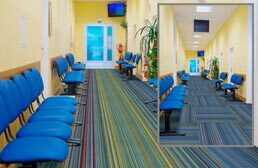 FlooringInc.com has a wide assortment of striped modular carpet tiles and there is certainly something that will be perfect for your space. 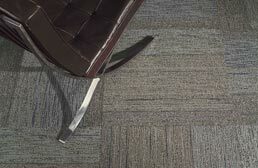 Our carpet squares are highly durable, easy to install, and easy to replace if one gets soiled beyond repair. Residential carpet tiles are all the rage since anybody can install them and you can create your own unique carpet tile patterns. 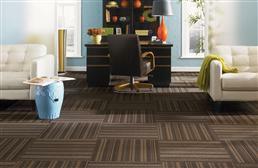 Striped carpet tiles offer an attractive and linear look to a room, which can help make the room appear larger. Shop our striped and patterned carpet tiles by brand name, color, or installation method. 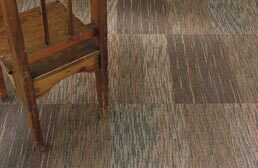 All of the carpet tiles listed on our stripes page feature color options where stripes are on the tiles. 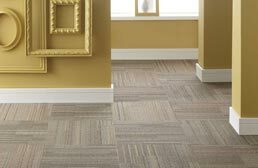 We feature many brands such as Shaw and Joy Carpets and all of our modular carpet tiles ship free. 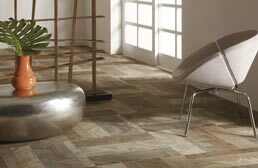 Easy to install and maintain, these tiles are great for any room in your home. 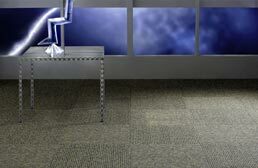 Free samples are available for all our striped carpet tile squares.